From start to finish, AMG® engineers work in tandem with the Mercedes-Benz development team to meld AMG® technology with the vehicle in question based on its performance, handling, and luxury standards. To fully incorporate the power and prestige of the AMG® brand, a variety of specially designed components are installed to summon the best, most impressive performance from the sedan, coupe, SUV, or roadster. Adhering to the “One Man, One Engine” philosophy of the AMG® brand, the AMG® 4-cylinder, V8, and V12 engines are hand-built to completion by one Master Engine Builder. 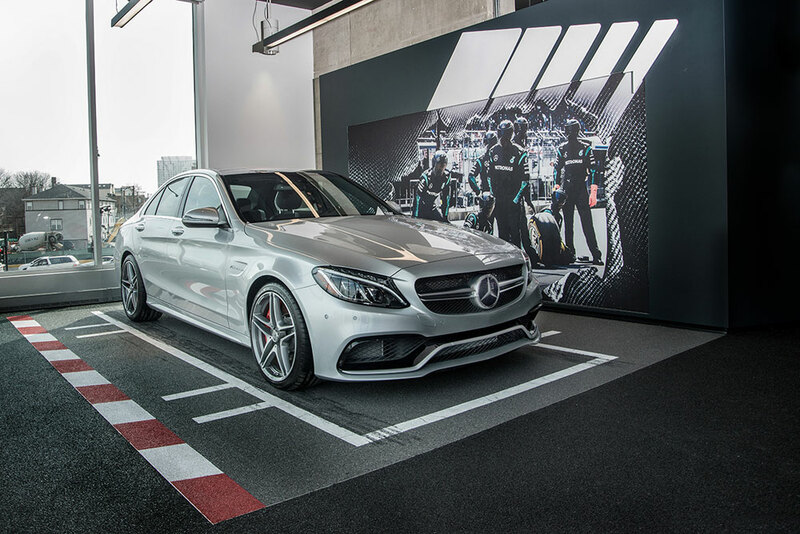 The finished product is a race-derived Mercedes-Benz vehicle with over 500 original AMG® parts – many of which are available right here at our AMG® Center! 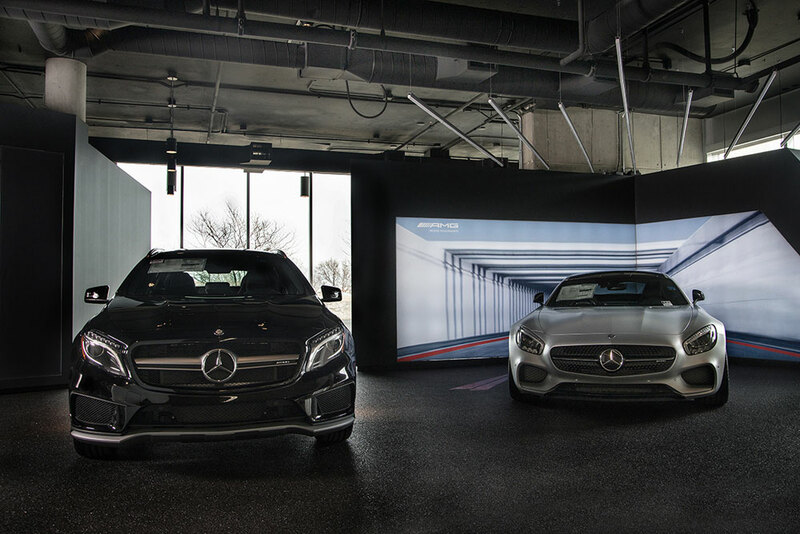 Learn more about what our center has to offer, and explore the thrilling Mercedes-AMG® lineup. Since its inception, AMG® has held fast to its original “One Man, One Engine” philosophy, and is currently the only car maker that crafts each of its engines with one Master Engine Builder from beginning to end. Capable of doling out 375 to 621 hp, the AMG® engines introduce advanced racing technology to the streets and highways, as well as the track. What’s more, they do so without sacrificing fuel economy, allowing drivers to experience the rip-roaring AMG® power in any environment. Specially engineered to the apply the force of the AMG® engines, the AMG® transmissions promise a smooth, adaptable ride. Driver-adjustable, the AMG® transmissions, such as the SPEEDSHIFT® MCT or the SPEEDSHIFT® PLUS 7G-TRONIC, allow you to alternate between driving modes for a comfortable, efficient, or sporty drive. Made from aluminum or steel, AMG®-specific suspension components, including shocks, springs, anti-roll bars, and mounting-point reinforcements, underscore the responsiveness of the AMG® vehicle. Performance 4MATIC® all-wheel drive is yet another aspect of the AMG® brand that truly sets it apart from other car makers in the industry. Adapted from the Mercedes-Benz 4MATIC® technology, the AMG®-exclusive all-wheel drive system allocates torque to the drive wheels for a harmonious drive on normal and rugged roads alike. Astonishingly, the AMG® Performance 4MATIC® system is much lighter than many systems of its kind, and adds to the inherent dexterity of the AMG® lineup. Working in accordance with the 4MATIC® system, is a 3-stage Electronic Stability Program (ESP®) with Sport function, which includes three modes: ESP® ON, ESP® SPORT HANDLING MODE, and ESP® OFF. This system works tirelessly to promote stability, and can apply the brakes to one or more wheels, as well as reduce engine torque, to keep the Mercedes-AMG® on track. The 4-Wheel Electronic Traction System (4ETS®) also enhances wheel-grip, and makes carving corners a breeze. Since its inception, AMG® has held fast to its original “One Man, One Engine” philosophy and is currently the only car maker that crafts each of its engines with one Master Engine Builder from beginning to end. Capable of doling out 375 to 621 hp, the AMG® engines introduce advanced racing technology to the streets and highways, as well as the track. What’s more, they do so without sacrificing fuel economy, allowing drivers to experience the rip-roaring AMG® power in any environment. Performance 4MATIC® all-wheel drive is yet another aspect of the AMG® brand that truly sets it apart from other car makers in the industry. Adapted from the Mercedes-Benz 4MATIC® technology, the AMG®-exclusive all-wheel drive system allocates torque to the drive wheels for a harmonious drive on normal and rugged roads alike. Astonishingly, the AMG® Performance 4MATIC® system is much lighter than many systems of its kind and adds to the inherent dexterity of the AMG® lineup. Working in accordance with the 4MATIC® system is a 3-stage Electronic Stability Program (ESP®) with Sport function, which includes three modes: ESP® ON, ESP® SPORT HANDLING MODE, and ESP® OFF. This system works tirelessly to promote stability and can apply the brakes to one or more wheels, as well as reduce engine torque, to keep the Mercedes-AMG® on track. The 4-Wheel Electronic Traction System (4ETS®) also enhances wheel-grip and makes carving corners a breeze. When it comes to keeping your Mercedes-AMG® vehicle road and track-ready, not just any part will do the job. The AMG® Performance Center here at Fletcher Jones Imports is your source for the exclusive parts you need to restore your Mercedes-AMG® vehicle to like-new condition. Whether you need parts for an AMG® C 63 S sedan or an AMG® S 63 coupe, our skilled team can save you time and hassle. From manufacturer-authorized tires, to suspension and steering components, to engine and transmission parts, our extensive inventory has it all! Our factory-original inventory features components designed specifically for your Mercedes-AMG® vehicle, which promise greater performance and satisfaction than aftermarket parts. Not only is finding a semi-compatible aftermarket part often difficult, but there’s no telling as to how well and how long it will perform. Simply put, the AMG® lineup is unlike anything else on the performance car market, and installing nothing but OEM parts is the best way to experience its capabilities full force. Order parts online quickly and easily! The AMG® interior represents the pinnacle of luxury, welcoming drivers and passengers with a generous array of comfort and entertainment features. 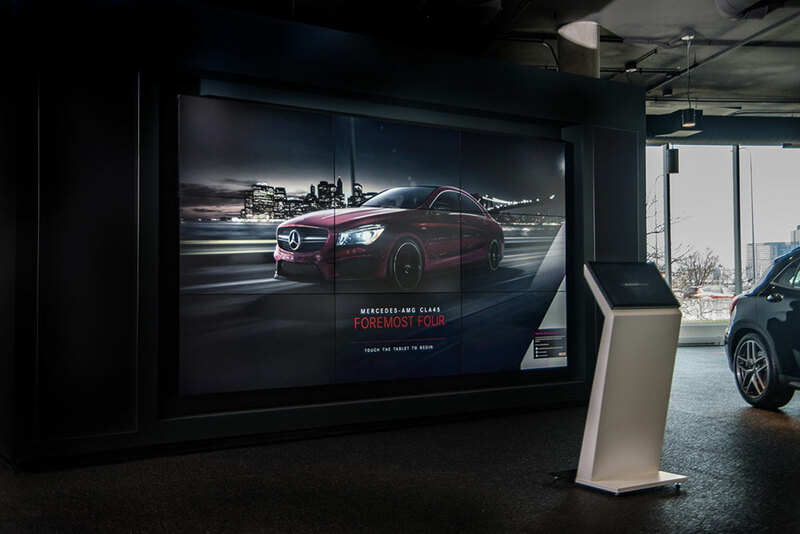 With our help, you can enhance the cockpit and cabin of your vehicle with a number of accessories from our AMG® Center, including AMG® door pins, floor mats, performance seats, a performance steering-wheel, and a Bang & Olufsen BeoSound™ system. Schedule an appointment to put the finishing touches on your prized vehicle today! When it comes to keeping your Mercedes-AMG® vehicle road and track-ready, not just any part will do the job. The AMG® Performance Center here at Fletcher Jones Imports is your source for the exclusive parts you need to restore your Mercedes-AMG® vehicle to like-new condition. Whether you need parts for an AMG® C 63 S sedan, or an AMG® S 63 coupe, our skilled team can save you time and hassle. From manufacturer-authorized tires, to suspension and steering components, to engine and transmission parts, our extensive inventory has it all! The debut of the Mercedes-AMG® GT3 in the 44th ADAC Zurich 24-hour race proved to be a monumental success. In the most triumphant achievement to date, the Mercedes-AMG® swept positions 1, 2, 3, and 4 and swooped in for 6th to really drive it home. Expert race strategies and a cool demeanor are, of course, key, but a 24-hour race is measured by endurance, and only a truly reliable car can go the distance. With Mercedes-AMG® vehicles and AMG® Performance Teams at the ready, it’s no surprise AMG® dominated the top six out of 150+ cars. In the 1960s, Werner Aufrecht and Erhard Melcher, two engineers in the Daimler-Benz Development department, were fine-tuning the soon-to-be groundbreaking 300 SE engine. Despite the company’s subsequent discontinuation of racing-inspired engines, the two visionaries worked dedicatedly on the side to refine the 300 SE engine. 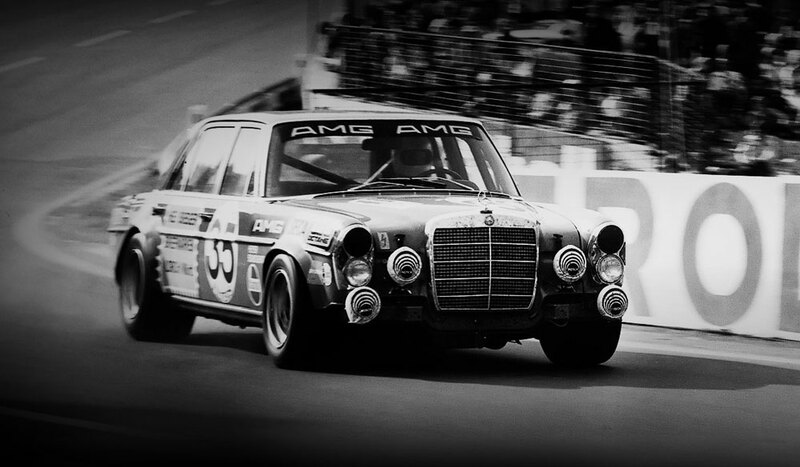 Shortly after its completion, the 300 SE engine went on to win ten times at the German Touring Car Championship, earning Aufrecht and Melcher an award-winning reputation. In 1966, after leaving Mercedes-Benz to pursue their passion for motorsports, Aufrecht and Melcher established the “Aufrecht Melcher Großaspach Ingenieurbüro, Konstruktion, und Versuch zur Entwicklung von Rennmotoren,” or the “Aufrecht Melcher Großaspach engineering firm, design, and testing for the development of racing engines.” In 1971, the AMG® Mercedes 300 SEL 6.8 luxury sedan dominated at The 24 Hours of Spa, winning second place and out-performing full-fledged race cars. Thus, AMG® – Aufrecht, Melcher, and Großaspach – was put on the map.